Walking’s innumerable health benefits have been well researched and documented. 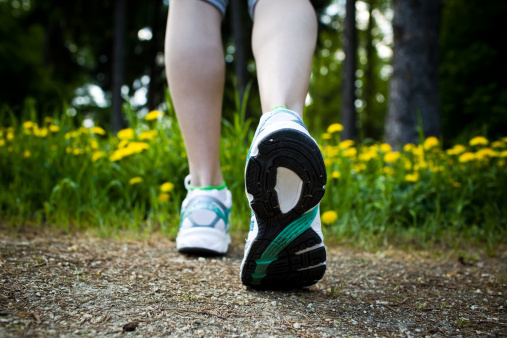 From a reduction in heart disease, cancer and diabetes to increased mental cognition to an overall sense of well being, walking 4-5 times a week for 30-60 minutes improves the quality of your life. When you add mindful practices, you have a recipe for an even more profound transformation. It’s also easy to add just a bit of running to up the ante and burn more calories. One of the goals of meditating is to tame the mind’s wanderings. Generally, the mind jumps from one subject to another, losing its focus and often entering the dangerous terrain of fear and negativity. Meditation brings the mind back to the here and now and to a singular, calming focus. Thoughts, feelings and emotions may also come into your awareness. Rather than get caught up in these triggers that can kidnap your mind, choose to redirect your mind to your body. Practice regularly to create a sense of ritual and sanctity around your exercise sessions. Soon, every time you walk, run or workout in the gym, you will “find yourself” in the center of your being, rather than in the machinations of the mind. A quiet, focused mind and a fit body can become your norm, whether you are walking through your office halls, walk-running in your neighborhood, or weight-training in the gym. 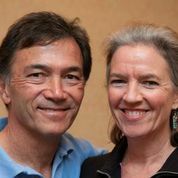 Katherine and Danny Dreyer are authors, speakers, coaches and co-founders of ChiLiving®. The Chi programs bring principles of T’ai Chi into running, walking and everyday living. As seen in most major media from Fitness Magazine to The New York Times to CNN. ChiRunning, ChiWalking and ChiMarathon DVDs, training programs and books (Simon & Schuster) are available in the Chi Store. Free offer: Get the ChiWalk-Run 2-week Guide to Getting Started.